Cramer & Anderson’s compassionate and highly engaged Elder Law attorneys have decades of experience in handling the full spectrum of often-complex legal issues that arise with age. Our attorneys carefully guide clients, families and spouses through those complexities, providing stability and support in what can be an emotionally challenging time. With financial, lifestyle and care challenges and opportunities continually increasing for our elders, the firm’s attorneys position themselves to be at the forefront of evolving laws and needs within this critical Practice Area. Additionally, as the range of issues falling under the Elder Law umbrella expands, the firm’s interdisciplinary team approach allows our attorneys to provide sophisticated, comprehensive, and personally tailored services to clients from towns and cities across Connecticut. As the largest law firm in western Connecticut, Cramer & Anderson has the scale and resources to meet the needs of clients with complicated and nuanced circumstances of any magnitude, and with offices in New Milford, Danbury, Litchfield, Kent and Washington Depot, we also offer the congenial and personal engagement of hometown attorneys. As a result, in this era when people are living longer, healthier and more rewarding lives, we help clients of all types turn a constellation of interrelated concerns—which often arrive suddenly and seem overwhelming—into a landscape of safety, security, stability, and peace of mind. At a foundational level, we have always worked with clients to ensure that seniors receive necessary care and that their rights are fully protected, including protecting the elderly from physical and financial abuse from a family member or caregiver. Such basic concerns remain the foundation of our Elder Law practice, but have been joined by a multitude of issues that affect not only aging clients but also entire families, often spanning three generations. With regard to all of these matters, we provide clients with a caring, deeply compassionate process that leverages our long and deep experience with all aspects of Elder Law. Historically, Elder Law focused on older adults. Cramer & Anderson attorneys are increasingly finding that their knowledge and experience can be applied to younger clients with disabilities. It may include those who receive a diagnosis of a disabling disease such as multiple sclerosis or ALS, or those who have been injured to the point they can no longer work. The common interests among these groups regarding long-term care and applicable public assistance programs allow us to assist both populations. Attorney Weinshank is the Senior Partner of the firm’s Estate, Trust, Elder Law and Probate Administration Department. He represents individuals, families, and businesses, providing a full range of tax, estate and elder planning services, and is well versed in the field of Medicaid and long-term care matters. Attorney Weinshank addresses both the personal and tax concerns of his clients when counseling them on how to pass their assets on to the next generation. With decades of experience in drafting simple wills, sophisticated wills, trusts and related estate planning documents, Attorney Weinshank advises his clients on matters dealing with estate settlement, trust administration, and business succession planning, with a focus on avoidance and deferral of income, gift, death and other transfer taxes. He works primarily in the firm’s New Milford office. Attorney Schiesel advises clients on current estate planning laws and how to plan for the future based on their individual needs and goals. 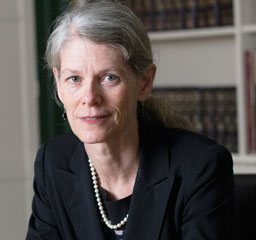 In drafting estate planning documents, she considers the options that will best protect clients’ assets in light of the Medicaid rules and other state and Federal statutes. Attorney Schiesel also handles the preparation of Title XIX applications and assistance, providing guidance through what can be a lengthy and time-consuming process for children or spouses. A former First Selectman of the Town of Kent, Attorney Schiesel is a Partner in the Kent Office of Cramer & Anderson. She also counsels small business owners on business matters, and handles real estate transactions, including purchases, sales, refinances and reverse mortgages. Attorney Schiesel lives in Kent. 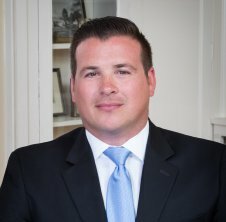 Attorney Joshua Weinshank focuses his practice in the areas of Elder Law, Trust and Estate Planning, and Trust and Probate administration. Attorney Weinshank advises clients on ways to effectively and efficiently preserve and create intergenerational wealth by addressing their tax and personal concerns. 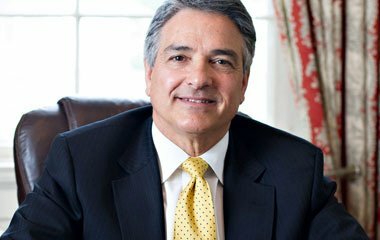 His approach to estate planning takes into account clients’ entire portfolios and goals. Attorney Weinshank works with his clients to implement strategies to reduce estate and gift taxes, as well as addressing income tax concerns through the management of capital gains and the appreciation of assets. Attorney Weinshank works primarily in Cramer & Anderson’s Danbury office. 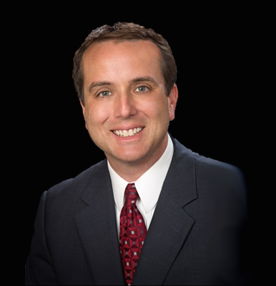 He is the Fairfield County Trust and Estate Planning and Administration Group Leader for the firm. Attorney Weinshank makes community-minded activism a priority, and in 2016 he was appointed to the new Planned Giving Committee formed by Ability Beyond, the pioneering Bethel-based organization. In early 2017, Attorney Weinshank was named Co-Chair of the committee. A Partner who works primarily in Cramer & Anderson’s Litchfield office, Attorney White handles estate planning, will and trust drafting, and probate administration. A former corporate tax consultant for KPMG and Pricewaterhouse Coopers, Attorney White relishes dealing meticulously with complexities. He also has broad experience in residential and commercial real estate transactions, as well as business formation and planning, foreclosure, landlord/tenant matters and litigation. Related Practice Areas include Estate Planning, Probate & Trust Administration, Civil Litigation and Social Security Disability.